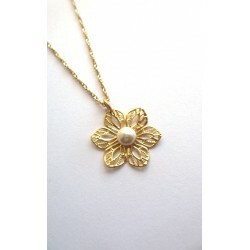 Lotus flower necklace, delicate jewel made of gold plated chain and pearl lotus flower pendant. 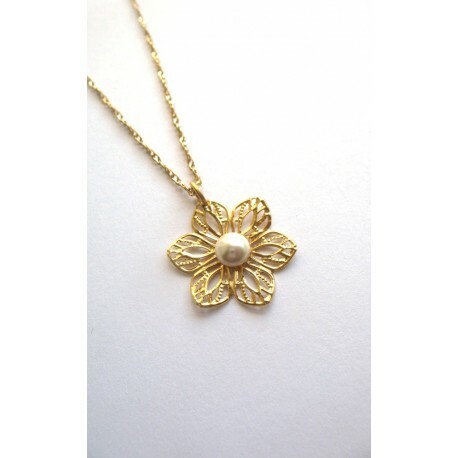 Lotus flower necklace length: 18"/ 45 cm approx. Lotus pendant length: 0.8"/ 2 cm approx. 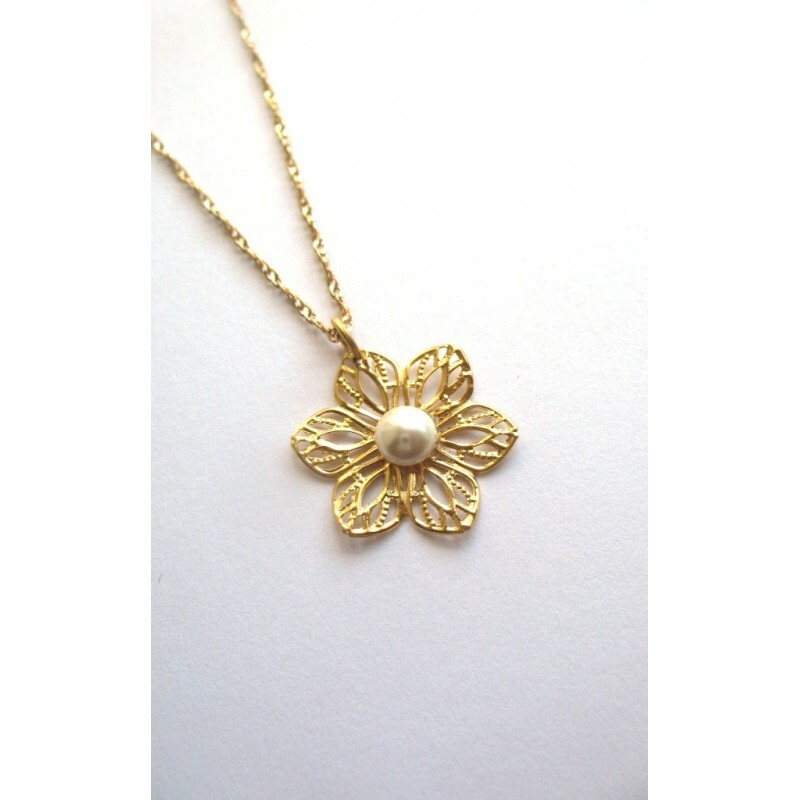 Dainty lotus flower necklace suitable for bridals, bridesmaids and also as a everyday accessory.